A beautiful lawn brings your indoors outside! Our Easy 7-Step Lawn Care Program Will Save You Time and Money! If you’ve always dreamed of a green lawn, but have never been able to achieve it, then you’ve come to the right place! Our lawn care technicians have been providing our customers with greener lawns for 15+ years. Here at Gunter, we’ve perfected our process over the years in order to bring you the very best results. It’s finally time to make your dream of a thriving green lawn a reality! A granular application of fertilizer to green lawn up and a pre-emergent to help prevent grassy weeds like crabgrass and foxtail. Broadleaf weed control is applied to control weeds like dandelions and clover. A slow-release fertilizer that feeds the lawn throughout the summer months. A booster application of pre-emergent to help control grassy weeds like crabgrass and foxtail. Spot treatment for broadleaf weeds as needed. A granular application that controls insects damaging the top of the turf and grub control. Provides season long control against grub damage. Application of fertilizer to help rebuild turf after summer stress. The most important fertilizer application of the year. A heavy application of nitrogen fertilizer to build a large food reserve for spring and early summer use. This will ensure earlier spring green-up, better-than-normal color, better rooting, and fewer spring diseases. Increasing water, nutrient, and oxygen movement into the soil. Verti-slicing involves the slicing of the soil approximately ¼ inch deep to allow the seed to take root easier. Typically recommended for lawns with bare spots or for total renovation. Spot seeding to total renovation with a variety of seed available specifically developed for the Kansas City area. We recommend fall seeding. The fall and winter months allow ample moisture and good temperatures for the young grass to grow. The summer heat is tough on most varieties of grass. Our customer service is award winning and we will prove that to you every time we come to your house to perform our local lawn care services. With good customer service also comes good practices. One of the best things you can do to keep your lawn green and fresh is to make sure it is free of lawn pests. We provide our pest control service along with our lawn care service to make sure you have the full package. Meet Our Lawn Care experts! 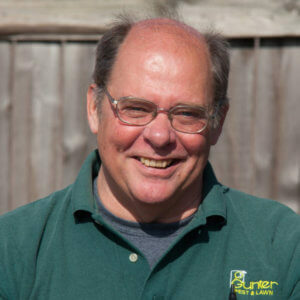 Steve began working at Gunter Pest and Lawn in 2008 as a Pest Professional. 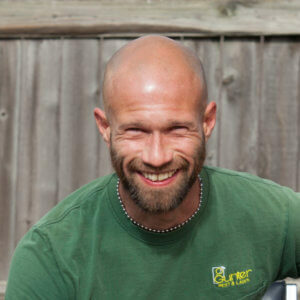 He is our lead lawn care expert and can quickly identify lawn issues and offer a practical solution. He’s the kind of guy you can trust with all your lawn care needs! 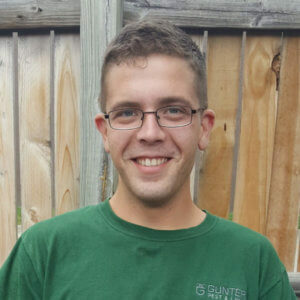 Corey started at Gunter during August of 2018. He’s a native of the Kansas City area and has a passion for nature. He is very knowledgeable in anything and everything lawn care related. Charlie has worked at Gunter for over 7 years now. He’s extremely skilled at identifying lawn issues and isn’t phased by even the most terrifying lawn pests. Do You Want The Greenest Lawn In The Kansas City Area? Call Gunter Pest & Lawn. Mosquitoes bugging you? We've got you covered.